A Medium post from Mark Nesbitt, security engineer at Coinbase, revealed that Vertcoin is being 51% attacked at the moment. “If a single miner has more resources than the entirety of the rest of the network, this miner could pick an arbitrary previous block from which to extend an alternative block history, eventually outpacing the block history produced by the rest of the network and defining a new canonical transaction history,” says Nesbitt in his post. 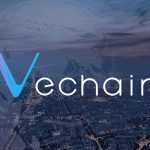 In short, Nesbitt and his team noticed 4 distinct incidents (the latest of which is currently happening) during which Vertcoin (VTC) experienced 22 deep chain reorganizations, 15 of which included double spends of VTC. Suggesting that the largest reorganization was over 300 blocks deep, Nesbitt estimates that these attacks could have resulted in theft of over $100,000. Comparing the attack to the ones that were experienced by XVG, MONA, and BTG previously this year, this security expert added that Vertcoin’s main selling point – chasing ASIC resistance – could be the main reason why they’ve suffered these attacks. While providing further resources to understand the importance of ASICs, Nesbitt also explains why exchanges play a crucial role in these attacks, possibly taking a jab at the competition which has previously listed similar PoW coins without setting up any counter-measures to prevent double spending. Check out the complete post here. ETCDEV, one of the biggest development teams previously working on Ethereum Classic, yesterday announced that they won’t be able to continue providing support to this project anymore. Known for maintaining the Classic Geth, ETC blockchain’s main client, and for contributing to development of the Emerald Wallet and Sputnik Virtual Machine, the team has recently came up short in terms of financial sustainability of their operations. “It is with great regret that I communicate the shutdown of ETCDEV current activities related to Ethereum Classic, effective immediately. As is publicly known we have struggled with funding our operations in the last few weeks. This was partially due to the market crash, combined with a cash crunch in the company. We appealed to investors in the ecosystem as well as external to it. We also did to the community fund, but in none of those cases were we successful in securing short term financing. The note was signed by Igor Artamonov, the founder and CEO of ETCDEV. Artamonov was one of the main developers on the ETC project and some sources claim that he had a fall-out with the rest of the team. Others point out he was a freelancer who had a history of running similar donation campaigns. Finally, one Reddit user suggests ETC – a project which was given birth by the original Ethereum hard fork – never had much development behind it to begin with. Overall, ETC doesn’t seem to be in much danger at the moment as teams like IOHK, ETC Labs, ETC Cooperative and Ethereum Commonwealth are expected to continue working on it in the future. ARK project has completed a significant milestone in its development by officially switching its mainnet to the v2 version of it’s codebase. New codebase was written from scratch during these previous months and has now been successfully put into operation. V2 brings several new features and customizations to the ARK ecosystem, looking to create a more modular and developer-friendly blockchain. One of the introduced features was the increase of ARK blockchain’s block transaction cap from 50 to 150 transactions per block. An important step to the launch of v2 was delivering a new supporting wallet that could operate on the new codebase; we covered this wallet in the yesterday’s news flash as well. Users can now download the v2 compatible wallet and gain access to the mainnet. The v2 isn’t a finished product by all means, the project claims as they promise to bring forth new updates to it soon enough. In the future, ARK network users can expect to see new transaction types, simpler multisig transactions, possible migration to TypeScript, P2P API improvements, parallel block downloading, plugin presets and ease-of-life improvements for developers, and more. The project adds that now that v2 is out, they’ll focus on releasing the ARK Pay feature in the coming weeks. ARK Pay will be a simple open-source library that will provide an easy to use plugin that should enable any merchant to easily start accepting ARK as means of payment. Parallel to that, the development team is working on releasing v2-supporting versions of the ARK whitepaper and website (should be completed by the end of 2019). Check out their full plans for the future here. ICON, the popular Korean pretender to the Ethereum-held “smart contract platform king” throne, has announced a new partnership. The partnership in question is one with the “Tribe Accelerator (TRIBE)” accelerator initiative from Singapore. “We are pleased to announce our next accelerator initiative in Singapore, “Tribe Accelerator (TRIBE)”, a collaborative program among ICON Foundation and TRIVE Ventures as well as PwC Singapore’s Venture Hub. It is notable that this is the first blockchain accelerator blessed by Enterprise Singapore, the lead government agency responsible for developing the startup ecosystem and making Singapore a global hub for startups,” communicated ICON through their Medium blog. TRIBE focuses on “finding and nurturing” later-stage blockchain companies in Asia and providing them with necessary services they need to achieve mass adoption of their technology. By providing business consultancy and tech advisory, TRIBE will help ICON collaborate with various enterprise partners and government agencies. Through TRIBE, ICON will operate the Singapore Launchpad, a project similar to the ICX Station launchpads located in major cities like San Francisco, Seoul, and Tokyo. 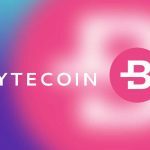 Most popular question in Bytecoin (BCN) circles: "Is it dead yet"?